Massage for the face is not less important than massage therapy for the body. We are told about this by well-known and expensive massage procedures and experienced masters, ready to perform any kind of therapy for their potential clients. But if you have to apply to specialized organizations to adjust your body with effective manual procedures, then it is possible to perform procedures for the person quite realistically and independently. Independent massage can be no less effective and fruitful than the services of professionals. If you use the advice of specialists, you can significantly reduce the financial losses of your own budget. No less important nuance that will be appreciated by people experiencing a shortage of free time is the opportunity to observe regularity and not miss therapy. Since in massage, as in other procedures, constancy and a complete course are very important. Only in this case it is possible to count on a positive result and improvement of one’s own appearance, rejuvenation and return to the skin of the tonus. Some self-massage techniques promise a consistently no less pronounced effect when observing the sequence than from some plastic surgery services. There are courses for each particular part of the face, and universal complexes. For example, with the help of special techniques it is possible to increase the volume of the lips or rejuvenate the face, correct its contour and give the skin tissues tone. There are even special schools that teach the basics of self-massage and with the help of practical exercises allow women to curb this science and learn how to master the technique in perfection. It is enough to visit special courses one day in order to fully understand the nuances of therapy and continue without visiting cosmetologists, beauty salons and plastic surgery clinics. Specialists in acupressure point to the fact that this is really a unique procedure that can provide an incredible result. It may appear that self-massage is the same as gymnastics for the face. But these procedures differ between itself as strength training and yoga for the body. If the first type is aimed at creating a strong relief and building muscle mass, the second one is designed to give tonus to existing muscles. The same difference is present between face-creations and massage. The physiological structure of the face is unique and does not require cardinal intervention in order to have a long youth. It is enough to master the special exercises of massage and they will help to realize the dream of unfading youth. A certain technique normalizes blood circulation and promotes the regeneration of cells of skin tissues. 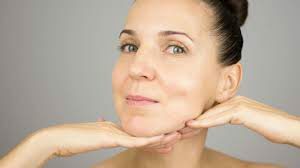 Also, the facial muscles are toned, which makes the contour of the face look clearer, and the skin becomes smooth and has a healthy uniform color. An effective massage technique, as a rule, consists of two phases – active and relaxing. The first part of the therapy is aimed at toning the tissues, creating a clear contour of the face, lips and cheekbones. Thus, it is possible to prevent sagging of skin tissues and restore their elasticity. Self-massage, like any other intervention in the body has some contraindications. Despite the impression of an innocuous procedure, it can aggravate some of the problems that exist in the body. As the main contraindication is any inflammatory process that exists in the body. If there is even a slight malaise, it is better to wait until the beginning of the course. Exercises that promote the acceleration of blood circulation, will lead to the spread of infection throughout the body. Next Next post: How to choose the best image?